If you're an American searching online for “things to do in Panama City,” you'll get a ton of information. The only problem is, it's usually about the one in Florida. You know what? I have nothing nice to say about that. Panama is a capital city of a country, for Pete's sake. Plus, it's the financial hub for the Latin American market and a favorite foreign retirement spot for North Americans. Reason enough, I'd say, to list that one first in the search results. The rest of the world would be shocked that Google ranks Florida's Panama City higher. Maybe it's due to search engine paid ads, but somehow, it just seems wrong to me. More than half of Panama's entire population lives in its capital, and there's a lot more to do there than in a Florida beach town. Anyway, this brings me to an apology. Although we lived in Panama City for almost three years, I never actually shared the great things you can do in the city. I'm making up for it today with a list of what our guests thought were the best things to do in Panama City. Without exception, every one of our visitors has listed the Panama Canal as their one thing they absolutely had to see while they were in Panama. It’s simple to see the Canal, but you need to pay admission to see the locks. Miraflores Visitor Center is a great location to get your introduction of the Panama Canal and is worth the price of admission. This is where you can watch ships pass through the locks, enjoy an informative film about the Canal, and visit an interesting museum about the canal, the environment and its history. The visitor center also has a good restaurant and a gift shop that will happily sell you a souvenir of your visit. 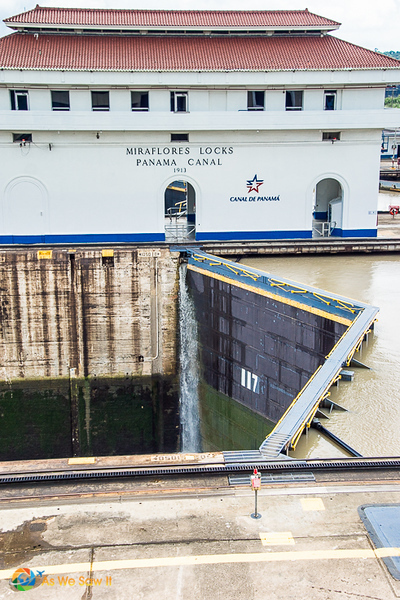 Tip: You don't have to take an expensive and lengthy cruise to actually cruise on the Panama Canal. Companies like this one offer partial transits as half-day trips from Panama City. Most tourists don't venture to this part of Panama's capital, which is a shame because these ruins are enjoyable. Panamá Viejo, also known as Panamá la Vieja, was the original Panama City. It has the distinction of being the oldest European settlement on the New World's Pacific coast. When the Spanish settlement was founded in 1518, it had only 100 settlers. It prospered as a hub as Spanish conquistadors plundered the New World. Panama Viejo had grown to over 10,000 people by the time England's Captain Morgan sacked and burned it in 1671. 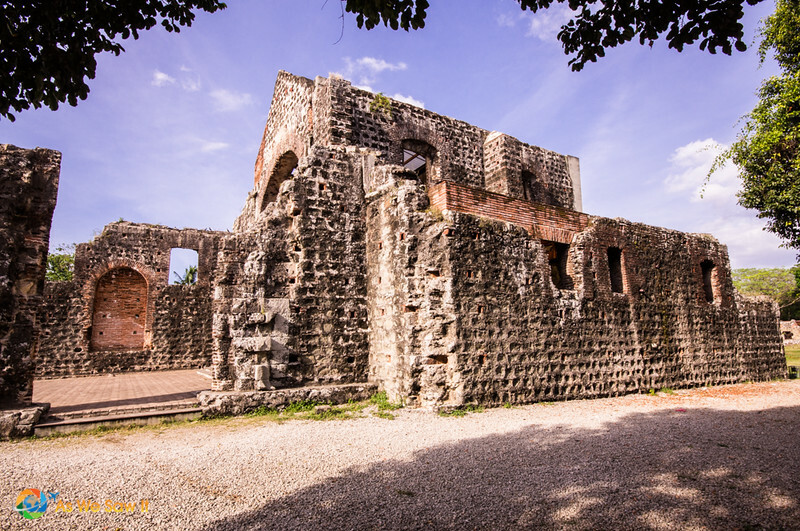 The archaeological ruins are so well intact that Panama Viejo was designated a UNESCO World Heritage site in 1997 (“Archaeological Site of Panamá Viejo and Historic District of Panamá”). For the price of a ticket (about B/5.00), you can walk among the ruins, explore what's left of the church, and climb the bell tower. While you're there, don't miss the nearby museum as well. It has a variety of relics—many precolumbian—and a model of what the original city looked like in its heyday. Rather than rebuild, the survivors wisely relocated to a small, more defensible position at the foot of Ancon Hill. Their new settlement has survived to this day and is now known as Casco Viejo (Old Town). It is the “Historic District” part of the World Heritage site. 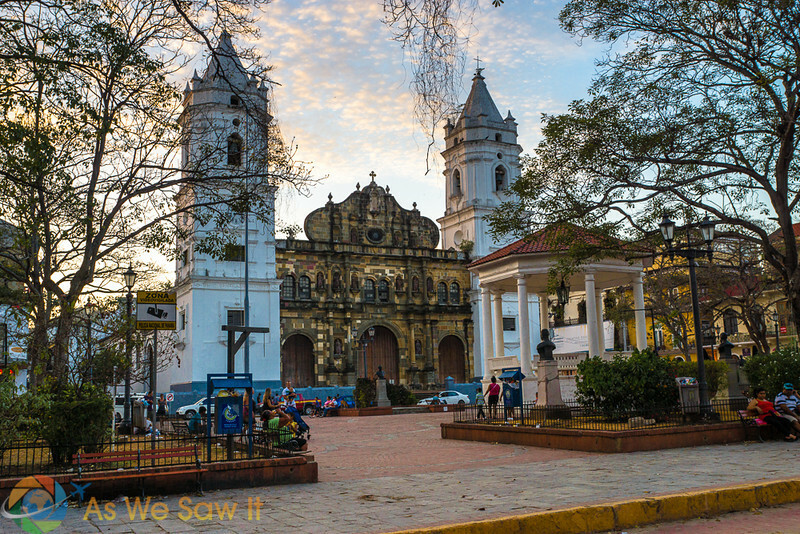 Casco, as it's called locally, is now the historic district of a very modern Panama City. This beautiful and charming district is made for walking, a hot spot for Panamanians and tourists alike. In this small area of only 15 or so streets, there are at easily 25+ restaurants and 15+ bars, coffee shops and night clubs. There are also dozens of shops, galleries, museums, and of course, lots of Spanish colonial houses. Casco is one-of-a-kind thanks to all the street art and the colorfully-dressed Kuna Yala selling their brilliant, handmade molas. Tip: Molas are handicrafts that are created and sold by Guna Yala women. From artistic panels to clothing to kitchenware, they make a vivid and inexpensive souvenir of your Panama visit. 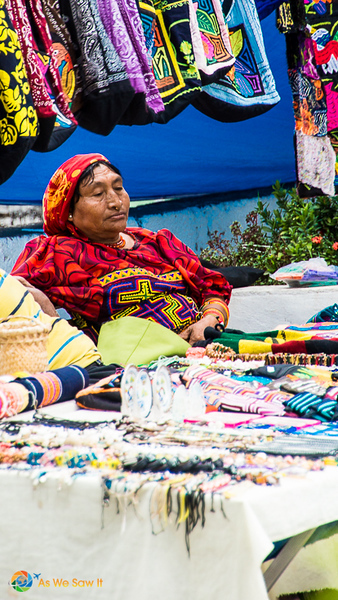 You can find plenty of mola vendors in Casco Viejo. Some of the women are willing to negotiate a bit if you are buying a quantity to take home. It's great to see the popular attractions and all, but to really get a feel for the city try to take some time to do nothing but relax. With all its restaurants, bars and sidewalk cafés, Casco is one of our favorite places for that, and our visitors enjoy it as well. We eat, of course, but we also enjoy walking around and seeing the street life, from street musicians to vendors to playing children and random cats. Tip: Casco has been undergoing a complete renovation and when it is completed we imagine it will be as beautiful as the old part of Cartagena, Colombia. The last time we were there they were re-bricking all the streets. If you're into old cities with character, you should know that it's getting all dolled up. 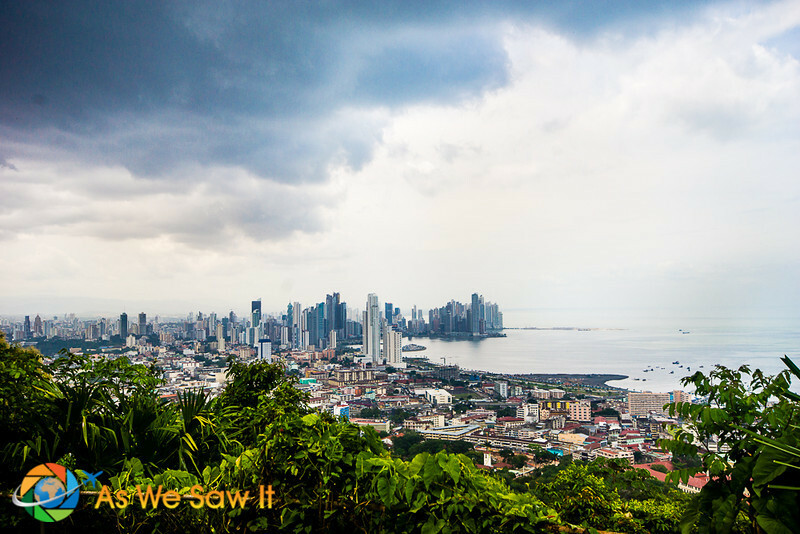 Panama City is the only metropolis in the world with a rainforest within its city limits. Metropolitan Natural Park is 654-acre natural park and much of it is untouched. The park has a small nature center, plus three or four main trails, all of which are well maintained and wind easily through the tropical rainforest. and an incredible panoramic view of Panama City. We recommend Parque Metropolitano as a great place to see a great variety of plants, animals, insects, and birds without leaving the city. There are dozens, if not hundreds of bird species in the park. Some of the animals we've seen there are sloths, mono titi monkeys, and basilisks (“Jesus lizards”). We've heard that there are deer in the park too, but we've never seen them. Have you ever wondered what happened to all the dirt and rock that was removed when they created the Panama Canal? Well, it was dumped into the Pacific Ocean, just outside the canal’s entrance. All that dirt created four small islands, Naos, Culebra, Perico and Flamenco. During the Canal Zone era, the islands were a recreational area for US military personnel. Of course, as part of the Canal Zone it was off limits to Panamanians. The one exception was Manuel Noriega, Panama’s infamous dictator. He built a private house on one of the islands, which didn’t survive his ouster. The Panamanians didn’t waste any time looting and destroying it. Anyway, the chain of islands became known as Amador Causeway, and Amador marks the Pacific entrance to the Panama Canal. After Panama took over the Panama Canal, they replaced the one-lane road with a beautiful, two-lane boulevard that also has an adjacent bicycle/jogging path. They also turned Amador into an entertainment destination. Besides port facilities, marinas, shopping, nightlife, hotels and restaurants, you'll also find the huge Figali Convention Center, Punta Culebra, and a Biodiversity Museum<. You'll also find some of the best views of the city. It's a great observation point for viewing the ships entering the Canal, too. Punta Culebra is undoubtedly our favorite destination on the Causeway and, when we first went, it took us by surprise. Well, we didn't know all that when we discovered it. 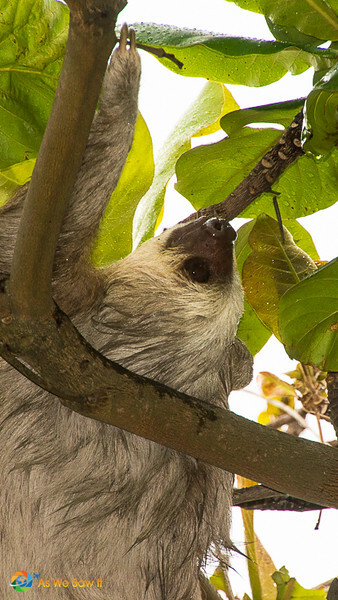 We just knew that it is a fabulous nature center, and we quickly discovered that it's the best place to see sloths close up. And as long as we're talking about things to see, it's a great observation point for viewing the ships entering the Canal, too. 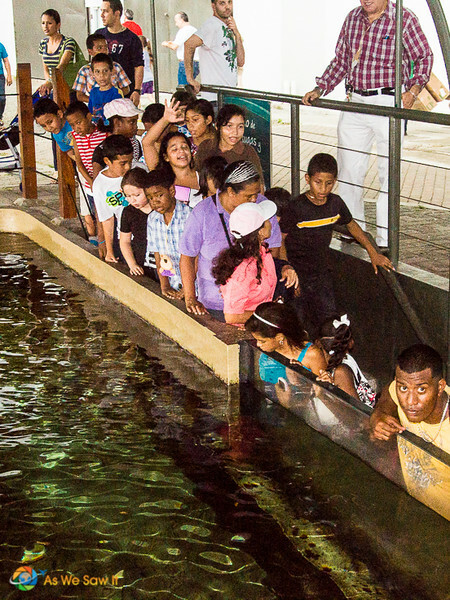 Punta Culebra also has hands-on aquatic tanks, freshwater and marine aquaria, and a video room. If you have kids, you have to come here. Another thing: If you're a World War II buff, you can wander into the woods to see the fortifications that were built to protect the canal. There's not much there, but it's still interesting. Yeah. 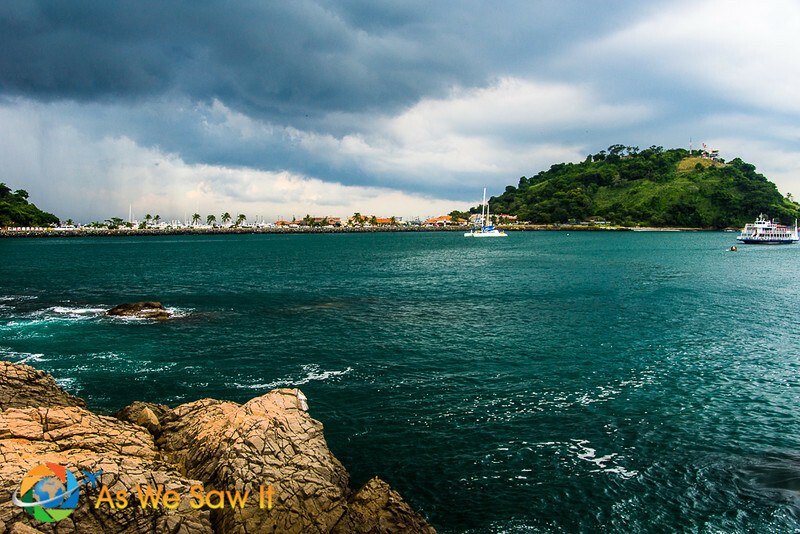 Don't miss seeing this when you visit Panama. Designed by Frank Gehry, the Biodiversity Museum is the biggest piece of eye candy on Amador. A jumbled pile of multihued planes and angles, the famous architect offered the design to Panama at no cost – just because his wife is Panamanaian. Now that’s love! Biomuseo has eight galleries and a biodiversity park made up of the nation’s native plants. Panama City may not have a beach, but its beautiful stretch of waterfront park makes up for it. If you crave fresh air and exercise, head to Cinta Costera. Bordered by modern and expensive highrises, this ribbon of parkland has a marina and it's big enough to host city-wide festivals. The park runs along Avenida Balboa from Multicentro Mall to Casco Viejo. It has free workout equipment you can use, as well as areas for running, biking, tennis, volleyball, basketball, soccer, and more. Tip: Panama is broiling hot in the daytime, so few people visit until the sun drops behind the buildings. Maybe buy a raspao (shaved ice) and sit on a bench and people watch. Want a great way to see what is available in a country? Visit local markets and study the selection available. 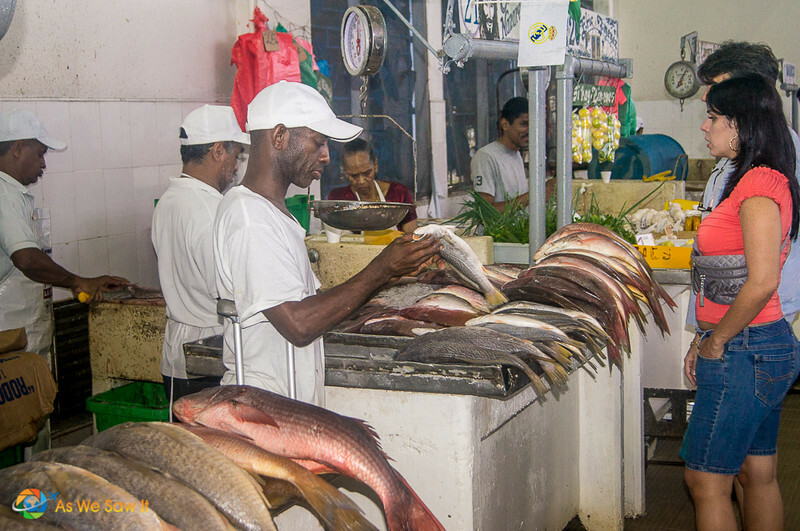 Our favorite local market here has to be the Panama City Fish Market. You’ll find it at the end of Cinta Costera, right at the entrance to Casco Antiguo. There is a new outdoor area where you can find a cheap breakfast or lunch. You can also join the locals in the restaurant on the second floor of the fish market. We were surprised by the selection available and even some of the fish they ate, like Parrot Fish. We've seen them while diving and never knew they were edible! We even saw fish that are not sold in the United States, like snook (robalo in Spanish). Now we know what it tastes like, and yes, it’s delicious. Most of all, we were impressed by the freshness and price of the offerings. Yep, we ate a lot of fish while living here. Yum! Tip: While at the market, try ceviche, a local specialty. You can get a cup of fresh, lime-marinated fish for a dollar or two. 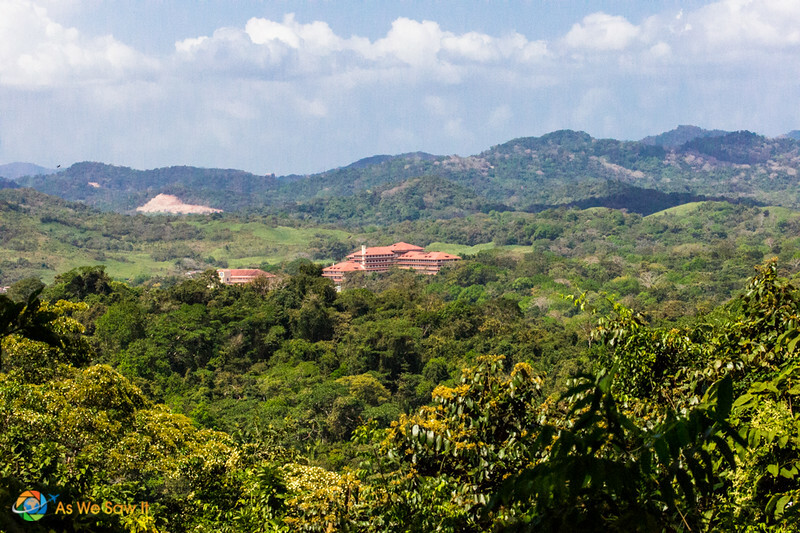 Known in Spanish as Cerro Ancón, this forested, 654-foot-high hill is visible from almost everywhere in Panama City. Ancon Hill was under the U.S. canal jurisdiction until 1977 as it housed the administration for the Panama Canal. You can hike up the hill in a half-hour or, with the time constraints we had, drive almost all the way up in 5 minutes. No cars are allowed on the top, so you’ll have to hike the last bit. Once on top, you can enjoy some of the best views in the city: Casco, the skyline of the modern city, and the Bridge of the Americas crossing the Panama Canal. The Bridge of the Americas—Puente de las Americas—stretches over the entrance of the Panama Canal. It’s part of the Pan-American Highway that runs from Alaska to Patagonia – with only a slight break in the road. You can’t drive through Panama’s Darien Gap. At the far end of the bridge, you will find the Mirador, which offers a beautiful, bird’s-eye view of the Canal. The Mirador is part of the Chinese Memorial Monument, built to honor the Chinese who helped to build Panama’s railroad. This was always the first view of the Canal we would give our visitors. We’d take photos, and check out the local vendors’ Panama souvenirs (mostly made in China, haha). Then we cross back over the bridge and head to Miraflores Locks nearby. A short drive away from the city center (15 miles/25km), Soberania National Park is tucked into the jungle where the Rio Chagres enters the Panama Canal. Its rainforest is mostly original growth, and scientists from around the world flock here to study the birds and animals. Panama has a diverse collection of wildlife, including monkeys, caimans, leaf cutter ants, coatimundis, parrots, jaguars and harpy eagles. Soberania offers a spectacular opportunity to see them, though you’ll need to get up early because everything takes a siesta in the sweltering midday. See more: We have a gallery of photos we've taken in Soberania, including birds, bugs, and beasts.See it here. The two most popular things to do in Soberania are hiking along Pipeline Road and visiting Panama Rainforest Discovery Center. Pipeline Road is perfect for hiking (quiet, please!). It’s also a world-class destination for birdwatchers. We’re talking world records for numbers and variety, so if birds are your thing, you should hire a professional guide. 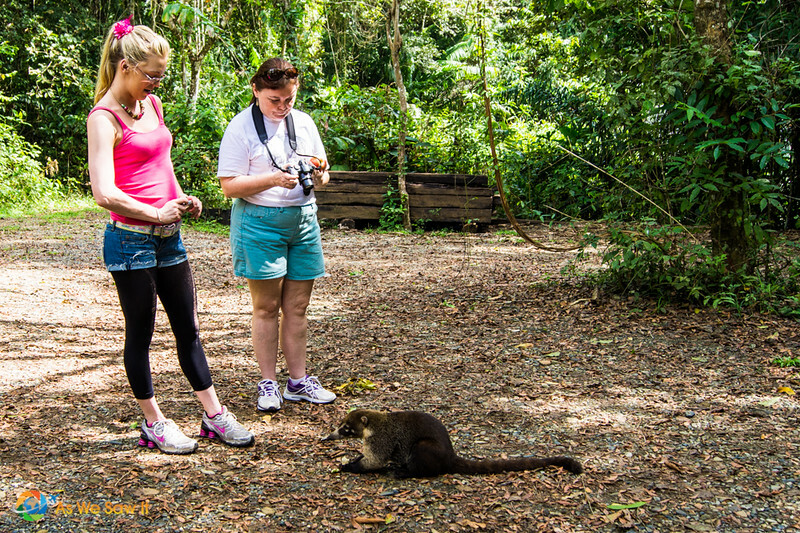 If you just want to see local wildlife, Panama Rainforest Discovery Center is a must. The entry is on Pipeline Road. We enjoy getting buzzed by the hummingbirds at their feeder, and encountered a wild coatimundi while in the parking lot. That said, an early morning walk with a guide gave us one of our most memorable experiences ever. While climbing the treetop observation tower, we came across a howler monkey watching us from a nearby tree, almost close enough to touch. I guess we were his entertainment. The Gamboa Rainforest Resort is a 340-acre resort that borders the Soberania National Park. If you’re thinking of an early morning park visit, staying at Gamboa is the easiest and most convenient way to do it. 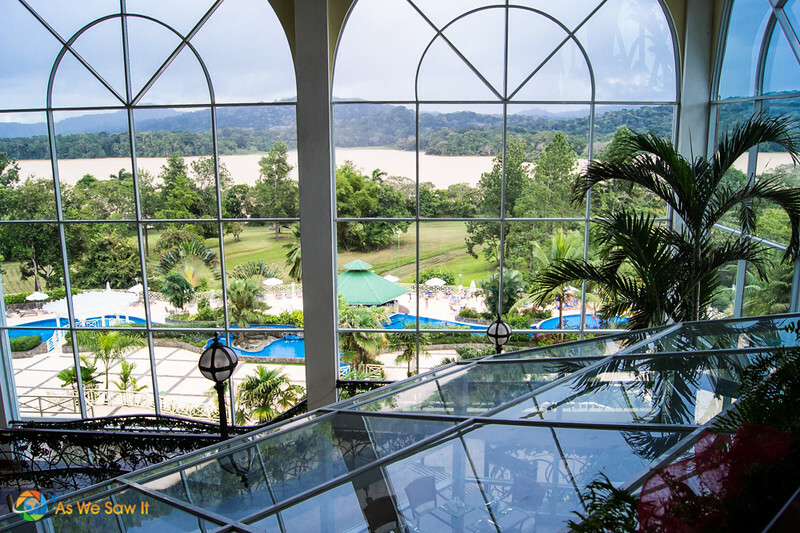 The resort is on the Rio Chagres and offers panoramic views over Soberania as well as access to a golf course. They can arrange unique activities to both guests and visitors, such as a Night Safari, an Aerial Tram, butterfly farm, a tour to meet the indigenous Emberá, or boat tours on the Canal. This isn’t a Panama City attraction per se, but it is one of the smartest things to do. The best way to get a clear sense of anywhere is to have someone to show you around. You can take the hop-on-hop-off bus, or you can let a local give you a private tour like this one. Private tour guides will act as translator when necessary, answer all your questions, and point out things that interest you. On the other hand, the double-decker bus tour is a mode of transportation with narration. Plus, the ticket is good for 1 or 2 days. This isn’t so much a place as an experience. 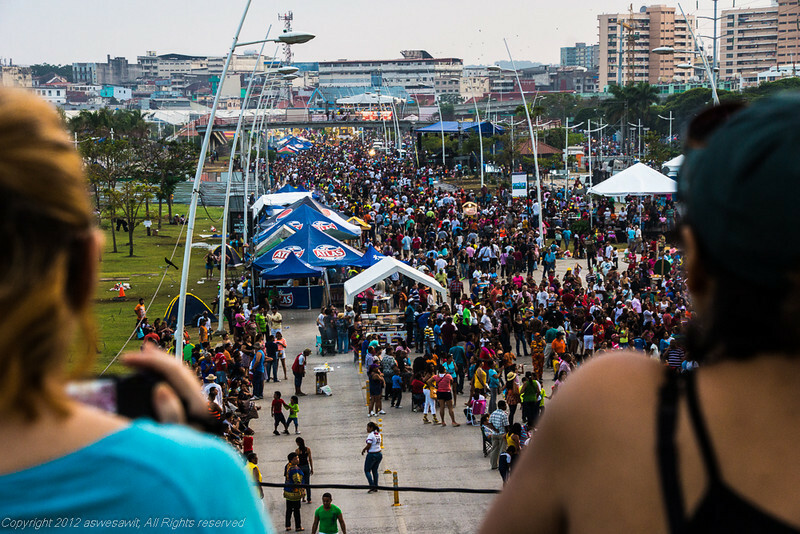 If you enjoy religious festivals, Panama City has a big one in the week leading up to Lent. Carnival is like Mardi Gras; it's the antithesis of the Catholic Lenten season because it's full of partying, drinking, dancing, eating and the like. Carnival is celebrated all over the world. Of course, the most famous one is in Rio de Janeiro, but we're told that Panama's is the second-largest. Look at this photo. We went on the first day before the action was scheduled to begin and it was already mobbed! So there you have it: our guests' top, best things to do in Panama City Panama. Comment below and tell us what activities you would recommend. Tourism authority: Every country has a department of tourism of some sort. Besides offering tons of attraction ideas, these offices will tell you about special events and give you lots of travel ideas. Many also sell city discount passes and tickets. Panama’s official tourist information site is Visit Panama. The nearest major airport is Tocumen International. Code: PTY. Copa Airlines, Panama’s national airline, offers non-stop flights from select US cities. Getting to the city. In Panama City, Taxis generally run around $30 and Uber is ~$25. You can also book a limousine service through Get Your Guide or Blacklane. They will greet you in the airport, help with bags, and take you to your hotel. Visas. Are you eligible for Visa On Arrival? Project Visa is an easy-to-use tool that will tell you . This website helps you calculate currency exchange values. Travel insurance. No one expects to be injured or lose a phone, but it happens. We’re insured through AIG and recommend Travel Guard. Trust us, when an airline misplaces your suitcase for a week, it’s worth it. We agree: Sometimes it’s not practical to take a taxi or walk. Public transportation. For other options, this website shows how to get anywhere by plane, train, bus, ferry and car. Hop-on-Hop-off bus. These buses stop at the city’s most popular tourist stops. Get off, sightsee, then hop back onto the next bus that comes along. Our favorite is City Sightseeing. Tip: City Sightseeing is offering a 10% Discount coupon for Hop on Hop Off services until 31/12/2019. Buy online. The code is: CSSWW10. We recommend using HotelsCombined to make your lodging arrangements. They search a lot of booking sites. Check prices and ratings and read reviews before you book. Very reassuring. If you’re here for the nightlife, the best place to stay is Calle Uruguay; it’s filled with restaurants and bars. The last time we were there, we stayed at Manrey. Keep in mind that many places have rooftop bars and top-floor rooms may hear the music until the wee hours. If you’re here for shopping or business, stay near Area Bancária, Panama’s skyscraper-filled financial district. The high end boutiques are here. Plus, you can easily get to Multiplaza, Multicentro and Albrook Malls. If you’re here for the culture, stay in Casco Viejo. Las Clementinas and Tantalo both have rooftop terraces and plenty of Panamanian ambiance. Sometimes it’s best to have someone else arrange your trip. Organized tours—G Adventures offers insanely affordable small group tours on all 7 continents. 100% guaranteed departures, even if you’re the only traveler. Expect local accommodation, cuisine, and transport to connect you with the planet’s people, cultures, landscapes and wildlife. Click here to look at their itineraries. Day trips and excursions—When we travel, we use Get Your Guide. It’s our go-to for food tours, attractions and activities. Click here to see what's available in Panama. For more sightseeing, check out our Panama photo gallery. To see the entire list of Panama articles on As We Saw it, click here. Great ideas for Panama City 🙂 All we ever hear about is the canal, so it’s great to see some other ideas as well. We plan to be heading south either early this coming year, or the next…not sure! Panama is high on the list and I love the idea of visiting the Tropical Research place, as well as just enjoying the culture and the people. Hey, thanks. I’m glad it was useful. We have plans to share more Panama stories and of course we’ll be happy to share whatever we can with you guys as you make your plans. What a colorful list! I’ve never been to Panama, but these photos are certainly intriguing. Also thanks for the safety tips. Oh my goodness, Panama City looks like such a multi-layered destination … can’t wait to check it out for myself! Don’t miss it, Hans. It is quite a cosmopolitan city. Fantastic, just too fantastic! Panama City looks quirky, vibrant and gorgeous. Love the pictures! Thanks, Renuka. Panama is underrated.